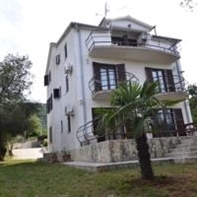 APARTMANI JURETIĆ is a self-catering accommodation located in Labin. The apartment will provide you with a TV, air conditioning and a patio.There is a full kitchen with a refrigerator and kitchenware. Private bathroom also comes with a bath or shower. You can enjoy garden view from the room. At APARTMANI JURETIĆ you will find a garden and barbecue facilities. Other facilities like a games room are offered. The property offers free parking. Pula Airport is located 22 km from the property. APARTMANI JURETIĆ is a self-catering accommodation located in Labin. The apartment will provide you with a TV, air conditioning and a patio.